The DeLorean DMC-12 from the Back to the future movies wasn’t exactly a fast car it had a 0 to 60 miles per hour time of around 8.8 seconds, although Marty McFly would love the world’s fastest DeLorean from the guys over at Putsch Racing. 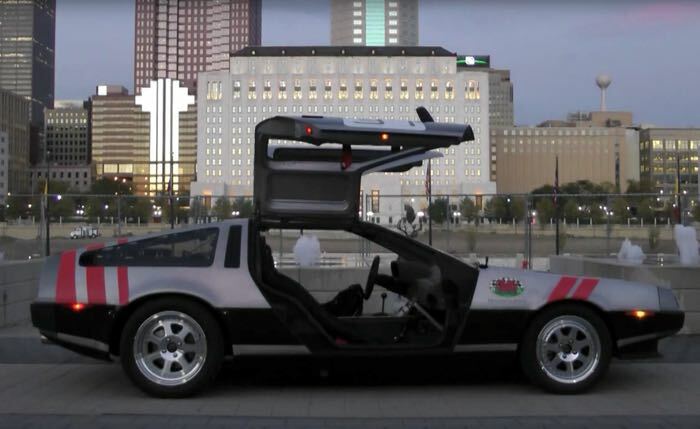 The fastest DeLorean comes with the standard engine although it has had a number of upgrades, including Weber carbs and a race exhaust with catalytic converters, which shoots flames, have a look at the video below. The car has had some serious weight reduction and it comes with around 210 horsepower at the moment, although it only weighs 2,500 pounds. There are some future mods planned for this racing Delorean DMC-12, which will bring the horsepower up to between 260 and 280 hp.